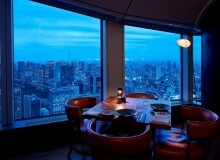 This summer is full of exciting events and the latest to date is the opening of the new Sony Park Building in Ginza. 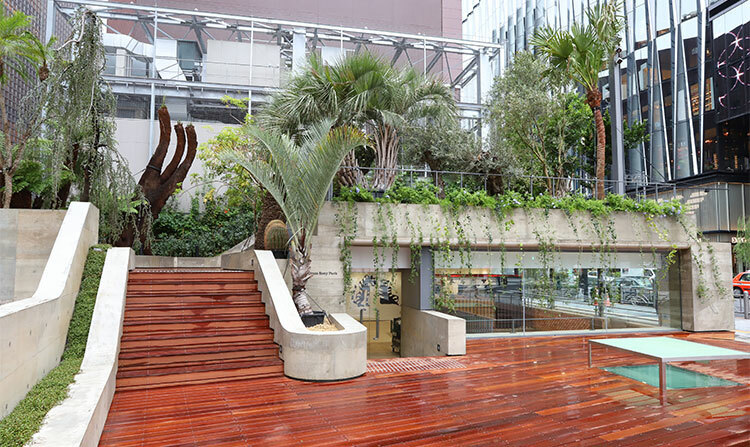 Following a sixteen-month renovation work, the former Sony Building, which was built in 1966, has been converted into a three-dimensional park structure that covers 707 square meters across multiple floors below ground. Designed around the concept of kando (emotional involvement), the new building features an array of one-of-a-kind stores and events where people can enjoy interactive experiences in an open public space that conveys Sony’s lively and playful spirit. 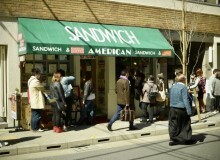 This includes a “buyable park” created by plant hunter Seijun Nishihata where visitors can purchase plants on display, an underground roller skating rink and a satellite studio of TOKYO FM broadcasting the latest Tokyo sounds. 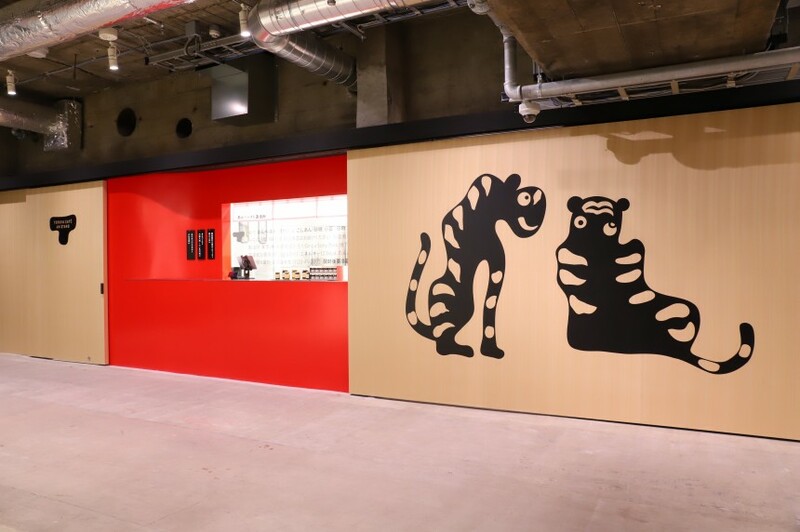 As fun and food often come together, Ginza Sony Park also includes a new AN STAND pop-up store and cafe designed by established Japanese confectioner Toraya. Founded in the early 16th century in Kyoto, Toraya became an official purveyor to the Imperial Court during the reign of Emperor Goyozei (1586-1611). Following a long-standing family tradition and an exclusive savoir-faire, it has been making wagashi (traditional Japanese confections) and other delicacies such as yokan (a jellied sweet made from red bean paste) ever since. 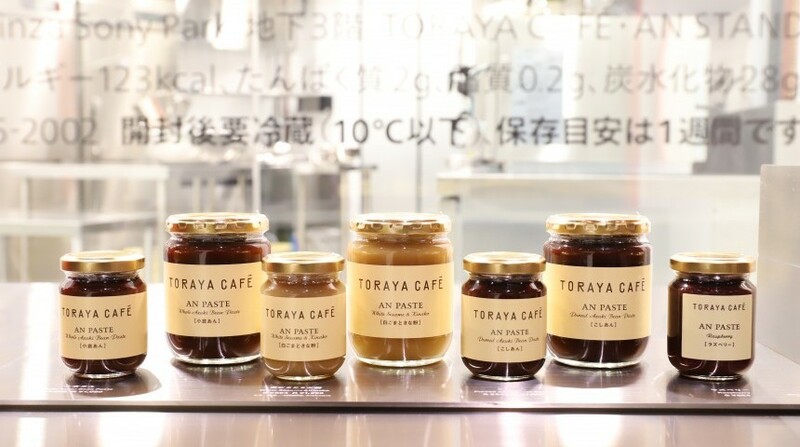 With its new AN STAND concept, Toraya is inviting the younger generation to rediscover its core ingredient: An (also known as azuki bean paste) in a more casual way. From the cute logo designed by graphic designer Masayoshi Nakajo to the product offering itself, everything will make you want to enjoy An paste everyday. Whether you spread it on toast or add it to your favorite yoghurt or ice cream, its smooth texture and delicately sweet taste will be the perfect addition to your breakfast or dessert. It is also worth mentioning that azuki beans are filled with vitamin B1, iron and protein amongst other highly nutritious substances so we won’t blame you if you end up eating it straight from the jar. The AN STAND shop on the B3 level sells a range of limited edition products such as puréed azuki bean paste (¥600+tax) and white sesame and kinako An paste (¥800+tax) – all made in-house using only natural ingredients. To add to the excitement, Toraya has also opened a pop-up cafe on the ground floor which serves An paste kakigori (shaved ice). Anyone who has been to Japan in the summer knows the refreshing qualities of kakigori. Rather than traditional flavors, you will be able to try more exciting variations such as strawberry or limoncello (Italian lemon liquor). 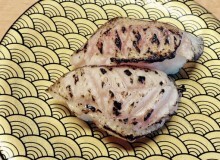 It goes without saying that all kakigori are served with a generous spoonful of An paste. Simply delicious. All the shops in the “Lower Park” will be open to the public until fall 2020. The second phase of the construction will be completed by 2022 with the extension of the current structure into the upper level of the building (“Upper Park”) where Sony and its partners will have the same goal in mind: to create an exciting and innovative public space for Tokyo residents.